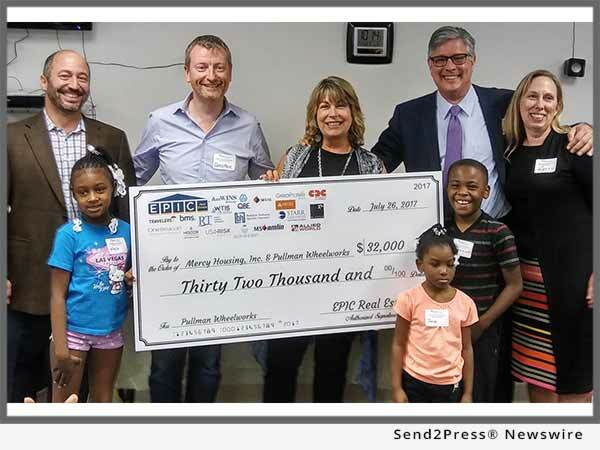 The National Real Estate Practice of EPIC Insurance Brokers and Consultants has contributed $32,000 to Mercy Housing Lakefront to upgrade the computer lab at the Pullman Wheelworks Apartments, offering residents state-of-the art online tools to advance their educational and career goals. DENVER, Colo. /Mortgage and Finance News/ — The National Real Estate Practice of EPIC Insurance Brokers and Consultants has contributed $32,000 to Mercy Housing Lakefront to upgrade the computer lab at the Pullman Wheelworks Apartments, offering residents state-of-the art online tools to advance their educational and career goals. With run rate revenues approaching $300 million, EPIC ranks among the top 20 retail insurance brokers in the United States and is the 10th largest privately held broker in the nation. Soon to be backed by Oak Hill Capital Partners, the company continues to expand organically and through strategic acquisitions across the country. For more information, visit: http://www.epicbrokers.com/. Mercy Housing Lakefront (MHL) is working to build a region where everyone has an affordable home to use as a springboard to achieve better health, economic security, and a brighter future for their kids. By the end of 2017, MHL will own and operate 52 properties in Illinois, Wisconsin and Indiana, enabling nearly 10,000 people to live in hope. MHL is a regional branch of Mercy Housing, Inc. (MHI), a leading national affordable housing nonprofit headquartered in Denver. For more information, please visit: https://www.mercyhousing.org/lakefront. *PHOTO Caption: EPIC presents check to Mercy Housing Lakefront. Previous articleKara Lamphere named Chief Operating Officer at Mid America Mortgage Inc.